A few years ago we started to see reports of how software from a company called SilverPush was using “audio beacons” to communicate with other devices. The company started off by only embedding their beacons into websites. They expanded into TV where commercials could embed an ultrasonic audio beacon that could communicate with any device that has the SilverPush software installed (a smartphone, laptop, tablet, etc.). The whole idea creeped a lot of people out, but now we’re hearing about something similar where Siri, Alexa, and Google Assistant can all receive inaudible commands that have been hidden in music. We’ve moved into an era where big data has become so valuable that companies are trying to figure out each and every way they can track you. The idea of having your actions tracked by a single website is bad enough. It takes things to a different level when half a dozen or more companies are tracking you as you go from website to website. Things get even worse when you realize these companies have built a profile (even if it is anonymous) on you for years as you’ve browsed the internet. 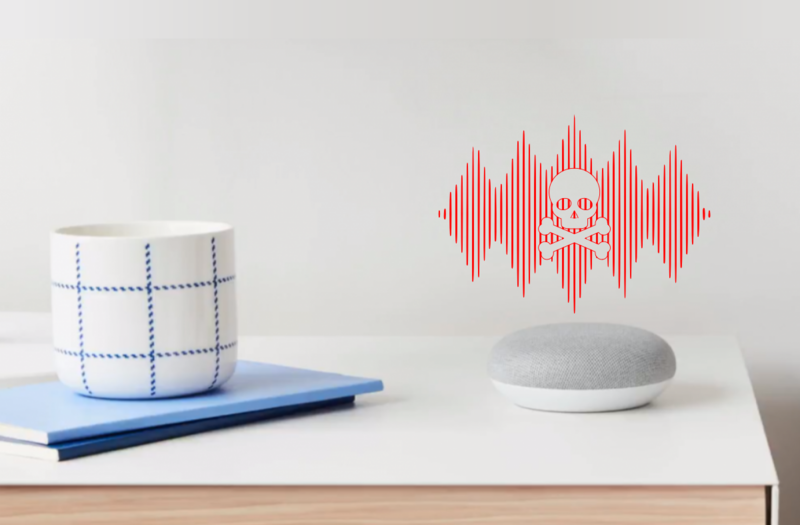 According to a report from The New York Times, it has just been revealed that the popular virtual assistants many of us use every single day can be controlled by subsonic commands hidden in radio music, YouTube videos, or even white noise played over speakers. This sounds awfully familiar to the SilverPush stuff that we heard back in 2015. The new report says these virtual assistants can be made to dial phone numbers, launch websites, make purchases, and access smart home accessories (such as a smart home door lock). Apple, Google, and Amazon have all admitted they are aware of these vulnerabilities but have been rather vague when explaining existing mitigations. Amazon says they have taken steps (but haven’t told anyone what steps) to make sure Alexa is secure. Google says its virtual assistant has features to mitigate these undetectable commands. Apple says the HomePod is programmed to not perform certain tasks such as unlocking a door, while they insist Siri on the iPhone and iPad is safe since the device has to be unlocked in order to execute such commands.